A lot of strange stories come from New York City, but not many of them get a monument. So... what's the statue supposed to be? An alien body that the guy found just before the streak of light that he is now watching? 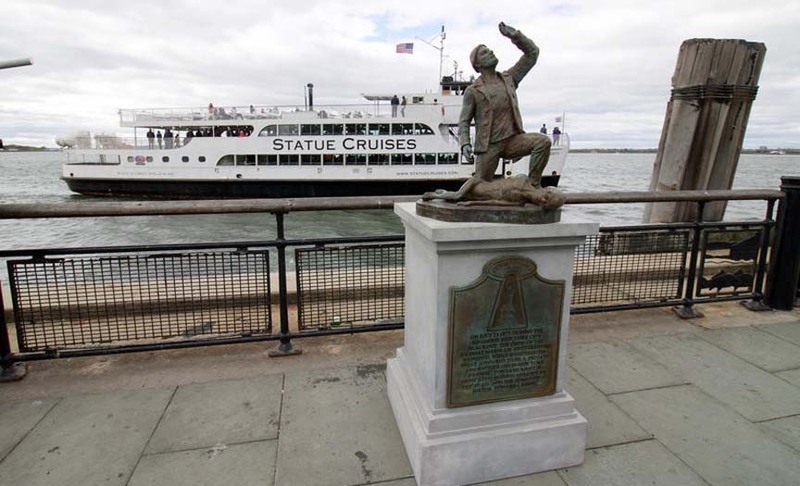 A Statue Cruises boat in the background of a picture of a statue. 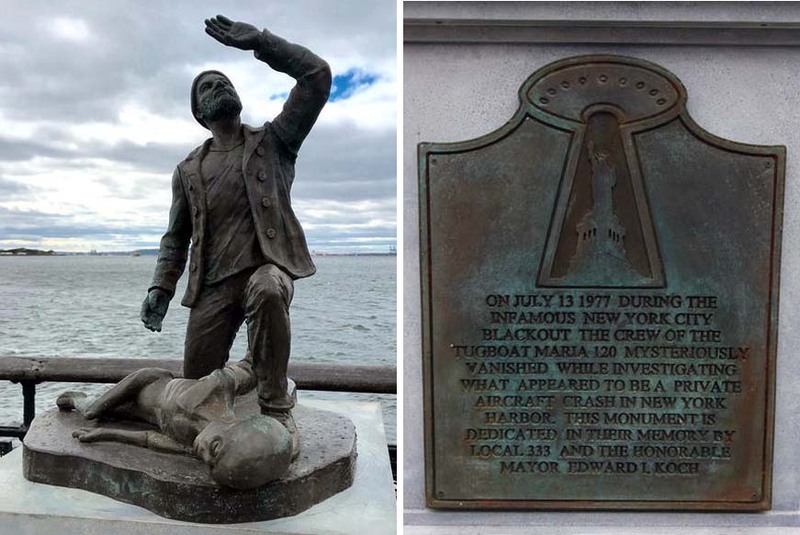 The same artist erected a monument to the Great Staten Island Ferry Octopus Attack. I think it was a Cellar IOTD in the past but I can't find it. Where did you see the name of the artist? OK, you worked backward from the ferry attack to get his name, I was wondering because I didn't see it anywhere. The untapped cities site says the tug as well as the crew disappeared. So apparently the blackout was cover for an alien abduction. They play the long game these little grey fiends. Here are some pics of the octopus sculpture. Am I wrong about an IOTD appearance? Why do you suppose the bowing smiley is " " when one assumes the message is "noteworthy?" Well I wrote "notworthy" and got the icon. signifies the poster (me) to be not worthy of your noteworthy effort/results. … Am I wrong about an IOTD appearance? Hell, that wasn't even a year ago. Right, I knew what you were talking about, but that was well over 300 IOtDs ago, which is over 600 hours of preparation, and hidden in a post about bunch of his projects.